The U.S. Food and Drug Administration approved Qbrexza, the first drug developed to reduce excessive sweating, a common condition that can cause anxiety. Maker Dermira Inc. said June 29, 2018, that its drug was approved for excessive underarm sweating. U.S. regulators recently approved the first drug developed specifically to reduce excessive sweating, a common condition that can cause people anxiety and affect their social lives. 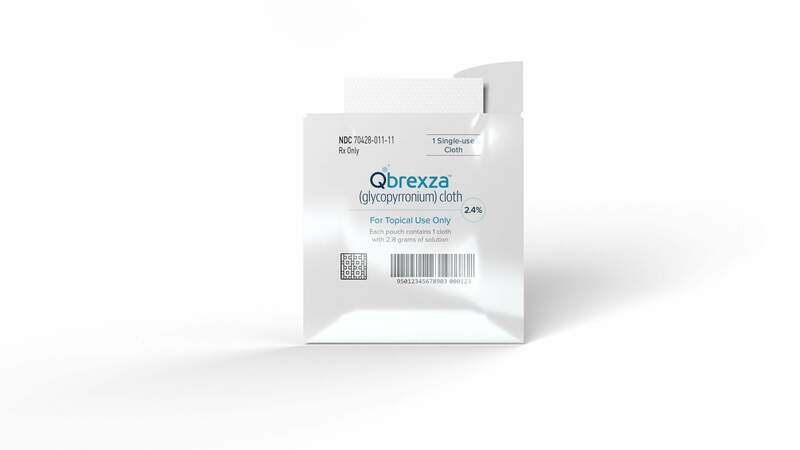 The Food and Drug Administration approved Qbrexza for excessive underarm sweating and will be available in October. The drug is inside a cloth wiped over the skin daily to block sweat glands from activating. Its manufacturer, Dermira Inc., refused to disclose the price, as drugmakers normally do. An estimated 15.3 million Americans have some form of excessive sweating, but only 1 in 4 get treatment. Current treatment options include Botox injections, surgery to remove sweat glands, procedures using lasers and other devices, and drugs approved for other conditions that block the body’s chemical messengers to reduce sweat production throughout the body. Side effects of Qbrexza include blurred vision, constipation, burning and itchy skin, head and throat pain, and dry mouth, eyes and skin.